A diet lacking in omega-3 fatty acids, nutrients commonly found in fish, may cause your brain to age faster and lose some of its memory and thinking abilities, according to a study published in the February 28, 2012, print issue of Neurology®, the medical journal of the American Academy of Neurology. Omega-3 fatty acids include the nutrients called docosahexaenoic acid (DHA) and eicosapentaenoic acid (EPA). 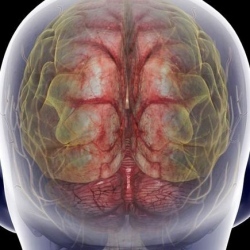 People with lower blood levels of omega-3 fatty acids had lower brain volumes that were equivalent to about two years of structural brain aging," said study author Zaldy S. Tan, MD, MPH, of the Easton Center for Alzheimer’s Disease Research and the Division of Geriatrics, University of California at Los Angeles.